There is certainly no shortage of buzz surrounding the benefits that practicing yoga provides. From a more peaceful mind, to better eating habits and much more, yoga is a great thing to treat your body to. Increased brain power. All you need is 20 minutes on the mat and your brain will be better able to process information. Decreased stress levels. The switch between tensing and relaxing your muscles during a yoga class helps the body to relax. Add to that the fact that your brain is tapping into your body much more during the practice, and you are guaranteed to walk out of class feeling far more relaxed. Heart protection. Poses such as savasana (the final pose of class) has shown to help with blood pressure far more than simply lying on the couch. In addition, yoga can also help with high cholesterol, stress, and other factors that put you at risk for heart disease. Promotes self-love. Yoga is all about loving yourself and your body, no matter how it looks. You’ll love feeling the benefits of praising your body rather than constantly harping on it. Fights sickness. According to research done in Norway, yoga helps to strengthen your immune system “at the cellular level.” And you don’t have to wait days to feel it — you’ll notice the difference in the middle of class. Connects you with others. Though yoga is quite a personal experience, practicing it in a class setting gives you a great opportunity to meet others and bond over your love of yoga. But that’s not it — yoga is also great if you’re suffering from varicose veins. Just when you thought yoga couldn’t get any better! Let’s get into the specifics of the role yoga plays in helping slow down your troubled veins. To recap, your arteries and capillaries play the role of taking blood from your heart, and dispersing it to the rest of your body. 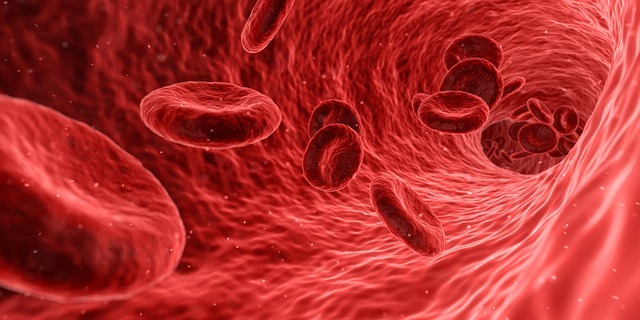 Your veins play the role of sending that blood back to your heart — sort of like a recycling system. 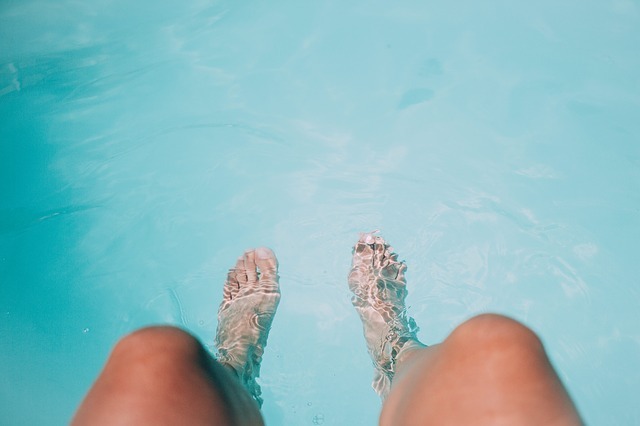 However, gravity is not your body’s best friend, and as a result, the veins in your legs have more strain put on them in order to get the blood back up to your heart. Things get even messier if your veins have been damaged or weakened in any way. This can lead to blood pooling, which then leads to varicose veins. Obesity. Being overweight puts a lot more stress and strain on your veins, which can cause varicose veins to appear. Age. Though varicose veins don’t only appear in older people, they are more common among people over the age of 50. Genes. Your development of varicose veins may be inevitable if your mother or your grandmother had them — those genes have been passed down to you. Hormones. Hormonal changes such as pregnancy and menopause can trigger the development of varicose veins. Sedentary lifestyle. Sitting too much is bad for your entire body, but especially for your veins. So while yoga does not have the power to treat your varicose veins, it does have the power to help you manage them. The stretching done in yoga is great for relieving the swelling and soreness in your legs that varicose veins often cause. However, there are specific yoga poses that will really make you notice a difference in your vein problems. For the most part, the yoga poses that are most beneficial to your vein health are those that involve elevating your legs. By elevating your legs in yoga, you are aiding your body in draining the blood back to your heart, which it is obviously struggling with if you’ve got varicose veins. In addition, elevating your legs helps take pressure off of your veins, and thus can help your varicose veins from getting worse. A mix of leg elevated poses and others, here are our favorite yoga poses to help your varicose veins. This is likely the first yoga pose you learned (or will learn if you’re new to the practice), and is integral to aligning your body. Though it seems so simple and basic, mountain pose helps to keep your legs toned, in addition to strengthening your knees and your thighs. By forcing your body to stay in this posture for a bit, you are relieving your legs and arms of stress, and thus, pressure on your veins. This pose will force your entire body to work against gravity, which comes with a number of benefits. First of all, your blood circulation will improve. Secondly, you will immediately feel the benefits this pose offers in terms of helping your blood drain up to your heart. Overall, this pose is a great way to take stress off your legs and allow them to relax, while simultaneously doing some great work for the rest of your body. This pose is among the best for improving your circulation. You’ll also love the deep stretch you get in your thighs and calves with this one, and with regular practice, you’ll notice how this pose helps to reduce leg pain. This is touted as one of the best yoga poses for sufferers of varicose veins because it does so many things at once. Fish pose relieves stress in your body as well as cramps, while also stretching your feet and your legs. Because this pose allows your legs to relax, your body’s blood flow becomes much more regulated, and your veins will certainly feel the difference. The leg elevation factor of this pose is fabulous for taking pressure off of your veins. By lifting your legs up and holding them there, you are helping the pools of blood flow upwards, which is great for your weakened veins. In addition, you’ll gain some serious strength in your core with this pose. This very simple pose is another great way to elevate your legs that will give them some serious relief. By resting your legs on the wall, you will increase your blood circulation while also flushing out toxins in your body. In addition, you will be taking some serious stress out of your legs, thus reducing the pressure that is put on your varicose veins. If you feel that your life is a bit more sedentary than it should be (or a lot more), then you will love the wind relieving pose. By entering into this pose, you are helping to move stagnant blood in your body. You are also loosening muscles and joints in both your hips and your knees, which are some of the tightest places in a person’s body. In fact, this pose helps to prevent deep vein thrombosis, so start practicing it today! Though yoga is not able to keep you from getting varicose veins, as you can see it serves a major role in helping alleviate your varicose vein pain, as well as managing your varicose veins so that their condition does not worsen. However, if you are suffering from varicose veins, be sure to consult with a vein specialist. We are currently offering FREE consultations at a Vein Clinics of America near you, so pick up your phone and make the call. At Vein Clinics of America, we want to be sure that we tackle your vein problems from the start, so that you can live your life uninterrupted, and enjoy yoga whenever you’d like.